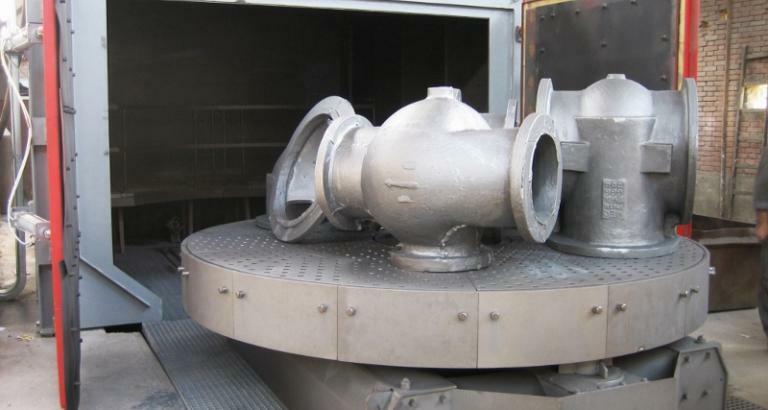 Bogie shot blasting machine KOM is ideal to process large and heavy castings of complicated shapes, which are produced in small or single series. 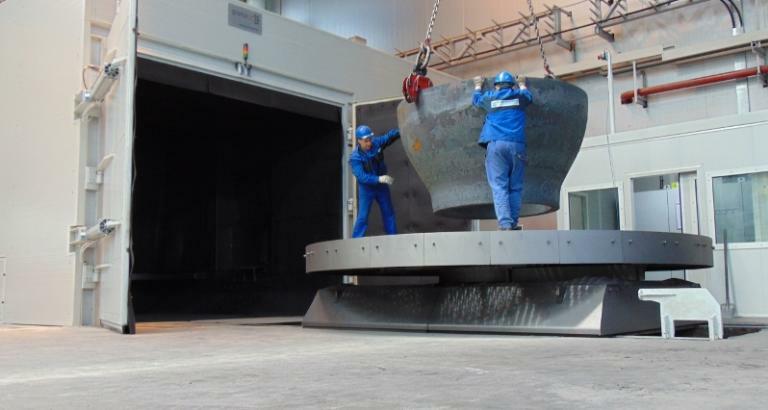 Parts are loaded on a rotating table with crane or lift truck. 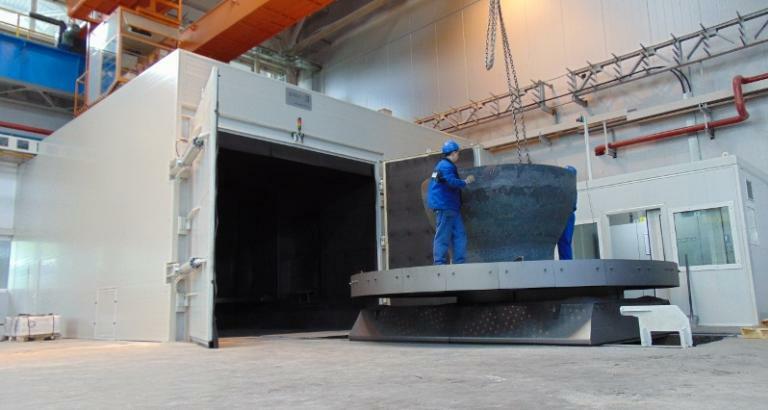 Rotating table is on a trolley, which is on a rails and can be driven in and out of the blasting chamber. 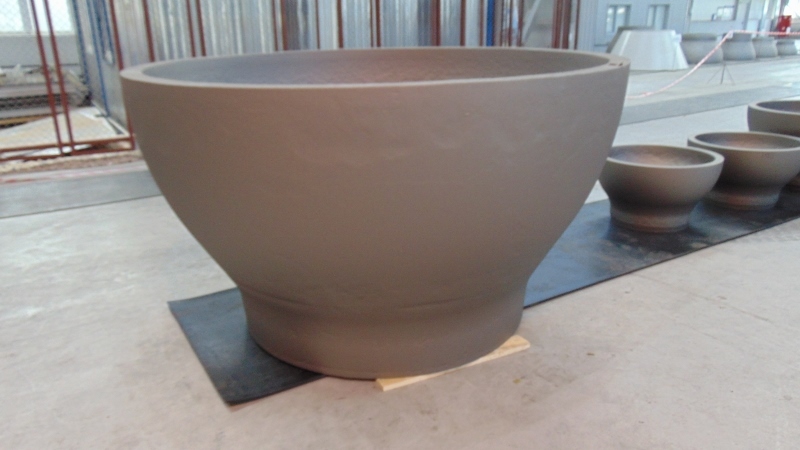 To achieve the best results it is recommended to cover the table surface with parts as much as possible. 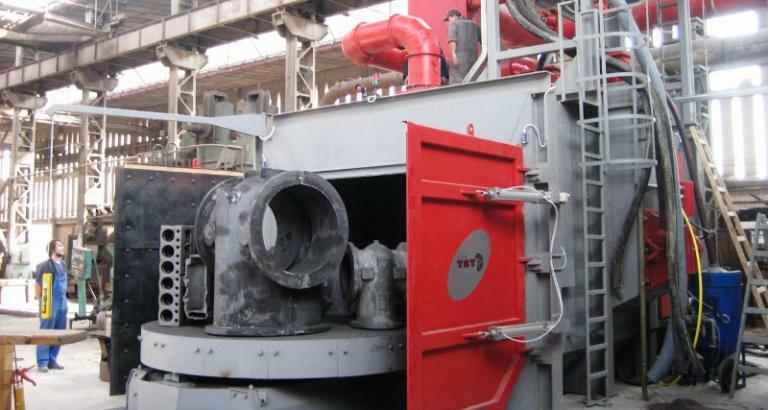 Usually bogie shot blasting machine runs in automatic mode, where the blasting time is set by programme. 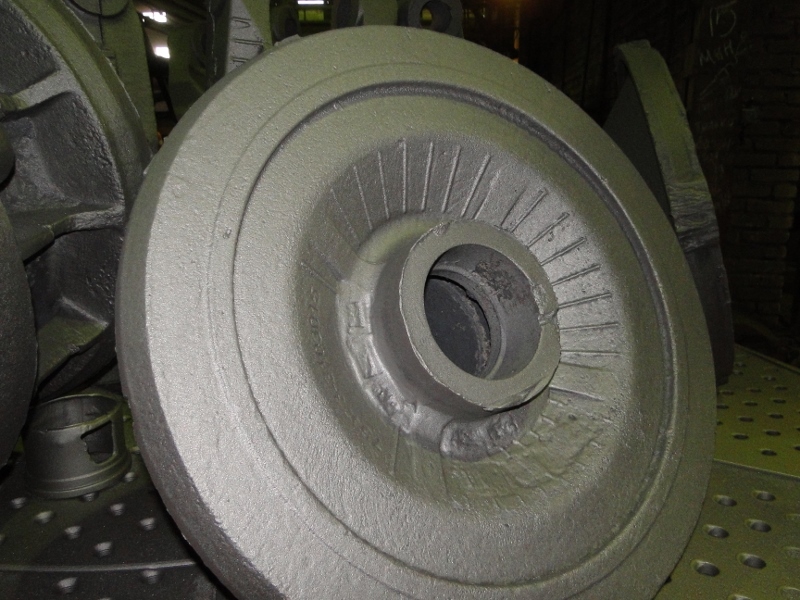 Blasting wheels are installed under different angles, which enables higher efficiency. 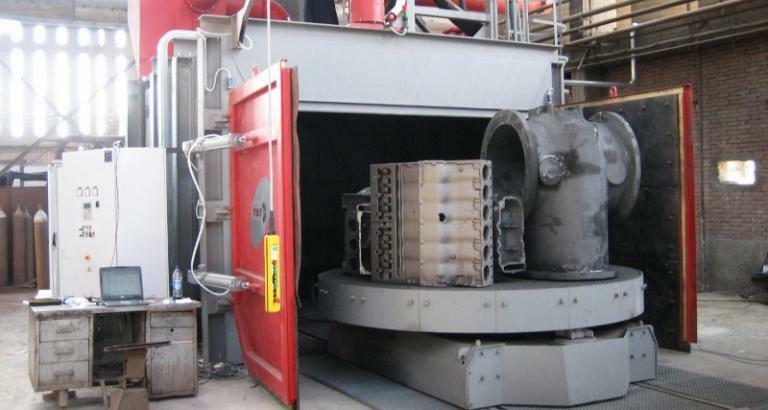 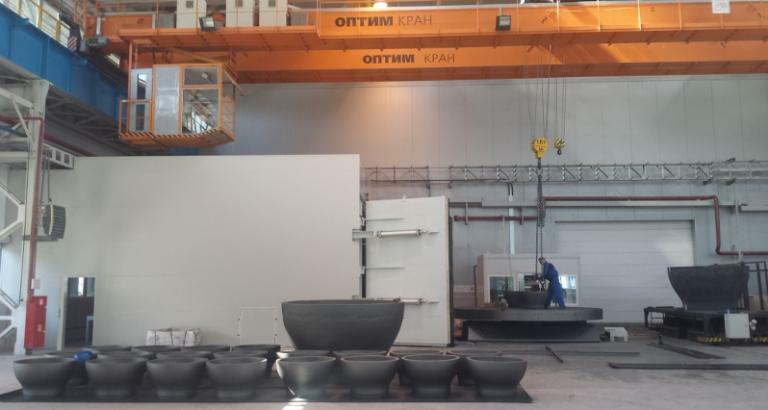 After the first process work pieces must be turned around and you need to repeat the blasting process. 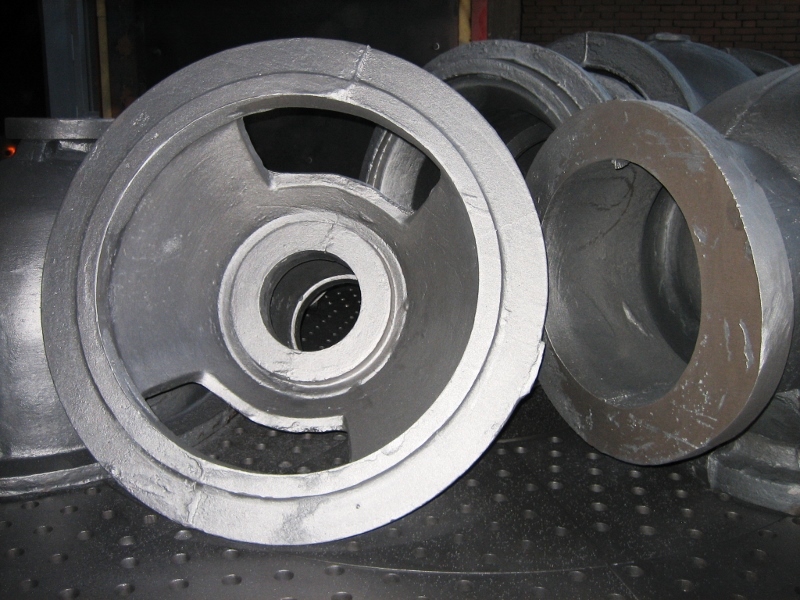 Housing is made from steel sheets and profiles in three welded segments and is inside additionally protected with wear-resistant shields from manganese steel.